ANIMAL animations usually allow the user to configure the input values and graphical properties of animations using the built-in “Generators”. However, once the generator has been executed and the animation has been created, the user can only passively interact with it using the “play controls” (forward, backward, step, …). based on ANIMAL, of course the usual control features including a full rewind and unlimited stepping backwards are supported. Here are some images to give you an impression and whet your appetite to download the app! 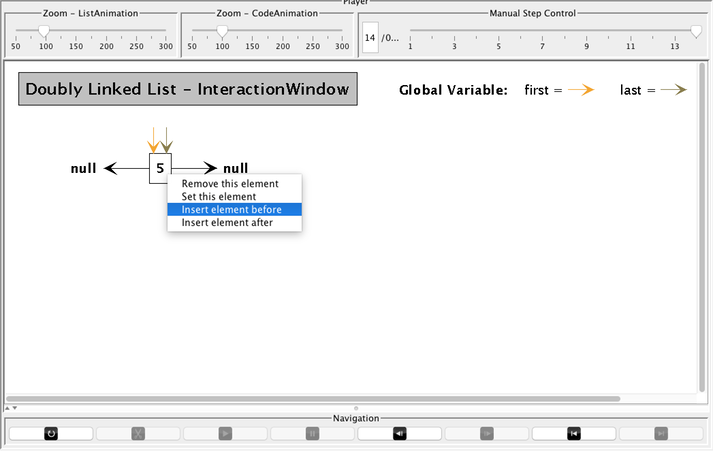 The image below shows the app’s main window, including the toolbar at the top, the start of the HTML documentation pages (left) and the interaction/visualization window (right). 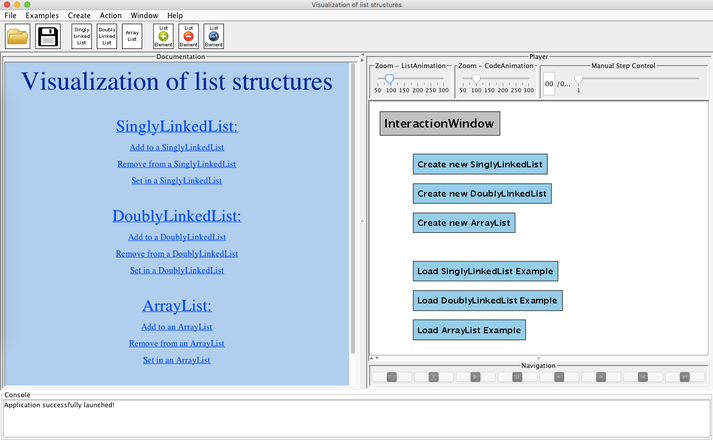 A scaled-down excerpt of the app showing a step during adding a new element to a doubly-linked list, with the animation at the top and the underlying code at the bottom. 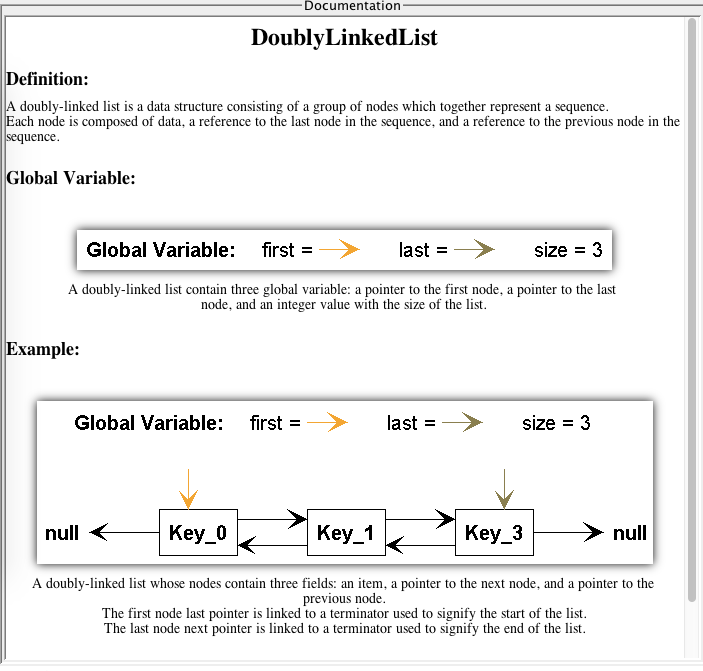 An example of the HTML documentation provided with the app, here for the general workings of a doubly-linked list.